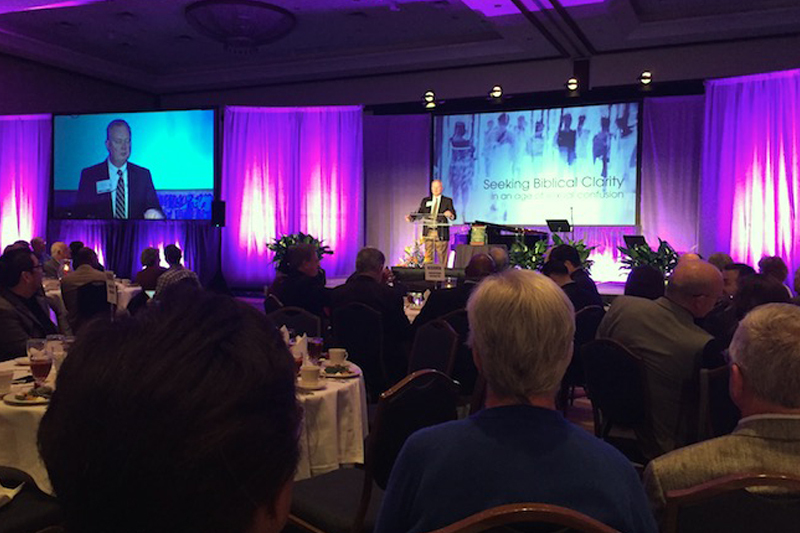 Olivet University staff joined hundreds of Christian educators this week for ABHE (The Association for Biblical Higher Education)’s annual meeting in Orlando, Florida. There, they gained practical knowledge on how to navigate in a world of increasing financial and cultural challenges, and developed a stronger sense of unity and identity as institutions called to raise Bible-minded leaders. Some of the concerning cultural shifts that were defined at the Feb. 10-12 meeting include a “massive attempt to redefine the image of God in man,” as described by Dr. Peter Jones, who has researched paganism and its threat to the church; and increasing perceptions that the Bible is a book of repression and bigotry, and that Christianity is irrelevant or extremist, as noted by David Kinnaman of Barna Group. The changing realities of mainly the U.S. culture are forcing leaders of Christian universities and seminaries to think about how they can convey the significance of a Bible-based education to an increasingly secularized generation as well as how they can better prepare students as ministers and professionals in such a society. Despite the challenges, Christian educators attending the ABHE meeting reaffirmed their commitment and renewed their mutual calling to equip more people with God’s truth and shine His light in a dark world. “It’s no coincidence that we are in biblical higher education,” Dr. Peter Teague, president of Lancaster Bible College in Pennsylvania, told attendees. ABHE, founded in 1947, comprises a network of more than 200 institutions of biblical higher education. Its mission is to enhance the quality and credibility of postsecondary educational institutions that distinctively engage students in biblical, transformational, experiential, and missional higher education.